NEW YORK 11/19/16 – There was a time that show business was an honorable profession with one goal in mind, to entertain and offer respite from the tensions of this world – the word "respite"meaning, according to the dictionaries, "a delay or cessation for a time, especially of anything distressing or trying; an interval of relief." Every area of the entertainment field, stage, screen, variety shows, circuses, rep shows, offered just that; temporary relief from the pressures of life. Performers lived under the banner, The Show Must Go On, under all circumstances. The audiences depended on the actors to transport them into a happier environment, one of conquest, love, joy, delight and intrigue. We remember the movie of a famous singer, played by Eddie Cantor, who was notified just before going out on stage that his mother had just died. His grief backstage was deep. He then pulled himself up, went out on stage and gave one of his best performances. That was his duty and he carried it out fully. A perfect example as to the meaning of show business was defined by comedian movie star Bob Hope, who spent every Christmas, not at home with his family, but on the battle fronts of the various wars over the years, often under dangerous conditions, through the auspices of the USO. You could see on the faces of the service people how much his appearance and performance meant to them, giving them encouragement and for a couple of hours, real joy, in the midst of the most uncertain time of their lives. 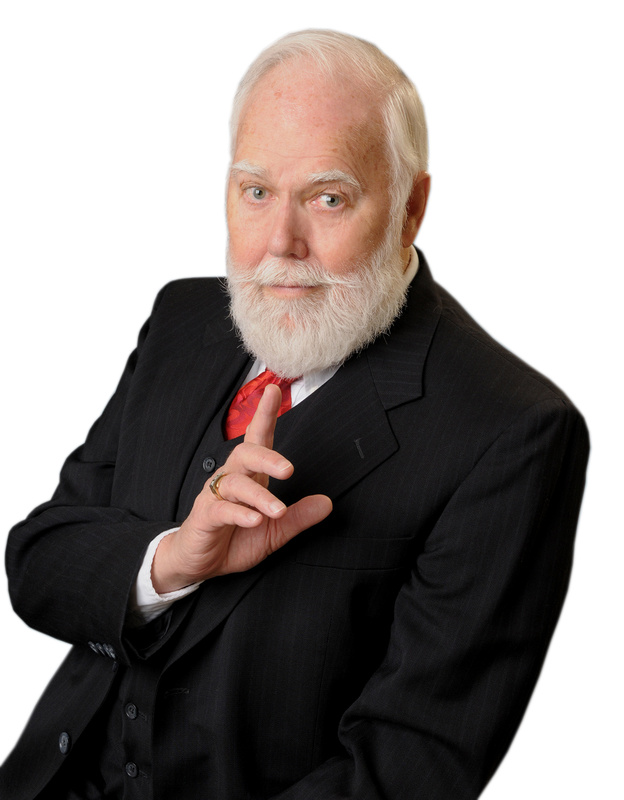 This columnist, as most of you know, spent the earlier years in a successful show business career before being called to the ministry. My first appointment after being ordained was Chaplain to Show Business. There was a sense of honor in being in that profession back then. We were there for one purpose, to entertain. But not today. "Entertainers," now have no class or manners, look like they just escaped from a dumpster, and even while doing TV interviews, dress sloppily with unwashed hair, no grooming efforts along with filthy mouths. I remember when stars looked like stars and conducted themselves like stars. Not anymore. Even while being honored at The Academy Awards and other self congratulatory events, they use vulgarity and champion controversial leftist political issues and push for immorality. The performers are there to perform not to promote leftist causes. That also goes for NFL players. And such was just experienced last night, November 18th. A man under intense pressure as the new Vice President Elect, Mike Pence, went to the Richard Rogers' Theater to see the hit Broadway rap musical, Hamilton. He paid atmospheric prices since that musical is the most expensive show in town. Not only that, he paid for extra tickets for his security detail. He came there to relax seeking mental refuge by watching a historical musical. Instead he was booed when he went into the theater to be seated in Row F in the prime orchestra seats. Has America lost her manners and even her common courtesy? Apparently so since the Communists have become so visible. They have managed to change everything around them, thoroughly polluting the atmosphere with hate. The cast of Hamilton has violated every code of honor once associated with show business. They have dishonored and perverted their own profession. They should hang their heads in shame. A very good man came to them to relax and enjoy their talents, paid to be there, but was virtually kicked in the teeth. This is not acceptable. The cast of this production changed after its initial run. Now playing Alexander Hamilton is gay actor Javier Munoz. 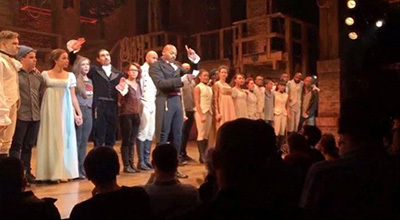 Black actor Brandon Victor Dixon, who plays Aaron Burr, took the mic at the curtain call, pulled out some notes (when he learned Mr. Pence was in the audience he quickly prepared his take-down) and proceeded to call out Mr. Pence in front of the audience. After calling attention to the fact that Mr. Pence was in the audience Dixon, surrounded by the entire cast, began to regurgitate: "We, sir, are the diverse America who are alarmed and anxious that your new administration will not protect us, our planet, our children, our parents, or defend us and uphold our inalienable rights," burped Dixon, who plays Aaron Burr, the nation's third vice president. "We truly hope this show has inspired you to uphold our American values and work on behalf of all of us. All of us." What an insult. This was not necessary. The Vice President and his party left when this ambush began even though Dixon continue his take down as Mr. Pence quietly made his way up the aisle and through the lobby. And by the way, Donald Trump is NOT racist as the Communists have falsely labeled him. Indeed, he has promoted more black women to VIP jobs in his business than any other industry. President Donald Trump was furious at the treatment of his VP pick: "Our wonderful future V.P. Mike Pence was harassed last night at the theater by the cast of Hamilton, cameras blazing," Trump tweeted today. "The theater must always be a safe and special place. The cast of Hamilton was very rude last night to a very good man, Mike Pence. Apologize!" It is doubtful that that cast has the grace to apologize to a man who was their guest and did not deserve this kind of treatment. But this misfit group of actors have disgraced what once was the fine art of performing. Now instead of being artists, they have become vicious agitators. Pity. They have defiled their own profession. It is time to stop enriching them by attending their movies and plays. And that goes for the NFL as well. Photo Caption: Cast of Hamilton with Dixon,Center- notes in Hand, insulting VP. Photo taken from internet video.